Automated Shades Plus is the motorized window treatment expert; we have specialized in motorized window treatments in Charlotte, NC since 2002. We have become the experts by having a strong interest and fascination with motorized window treatments and by completing the certified training classes conducted by leaders like Lutron and Hunter Douglas. Automated Shades Plus is the only Certified Motorization Specialist with Hunter Douglas and Lutron in the Charlotte, NC area. We are a full service custom window covering business for residential and commercial motorized window treatments systems. We offer everything from a simple battery powered wood blind for your home to a complete office building of hard-wired Solar Shades integrated with an energy efficient management system. Our motorized products can be operated by Smart Phones, Tablets, Handheld Remotes, Wall Switches, Home Automation Systems, Timers, Sun Sensors and many other 3rd party systems. Our product line includes all the treatments like Wood Blinds, Roller Shades, Woven Woods, Cellular Shades, Roman Shades and more. 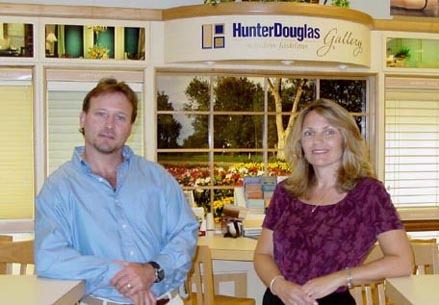 We are the company that Hunter Douglas and Lutron refer other Window Treatment Dealers and Designers to for the difficult projects that require the expert level of knowledge and experience. We are also authorized for low voltage wiring projects in Mecklenburg County and any other County in North Carolina that is required to have a license for low voltage window treatments. Howard Burnette Peninsula Club Dr. (The Peninsula)Co Chairman and CEO The Daniel Group, Inc.
Zane Elrod ,President Elrod Custom Homes, Inc.